Travel support applications to attend openSUSE Summit opened! We are happy to announce the Travel Team is ready to receive applications for sponsorships to attend to openSUSE Summit 2013. This year openSUSE Summit will be held in the beautiful Florida, November 15 to 17 and the Disney’s Coronado Springs Resort will welcome all Geekos to this year’s event. The openSUSE Travel Support Program provides travel sponsorships to individuals that want to attend openSUSE Summit and need financial assistance. For Summit this year the TSP will work a bit differently. The TSP will make 2 calls, for the first call the deadline is October 3, 2013 and you can start sending your applications now! The results will be given before October 8, 2013. The second call will start on October 11, 2013 ending on October 17, 2013. The results before October 22, 2013. Important to say that the second call is for those who had applied on CfP and didn’t have answer before the first call ends. Of course, even applied and no answer yet you can send your application on the first call. * A good application with good information will be processed faster. * Always choose the most economical option whenever possible.Â People who need travel sponsorship, shouldÂ Â Â Â Â Â Â Â look for the best price. 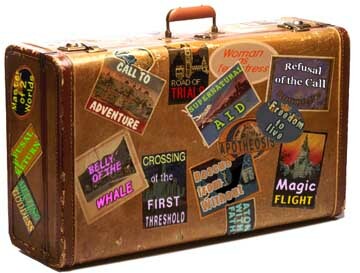 If the Travel Committee finds a cheaper price, that will be the price in consideration. Do not forget… The Call for Participation still opened so hurry up! Beta Pizza Hackaton Starting Friday! Friday is the day: the Beta Pizza Hackaton is here. Have you already been testing the Beta? Reported bugs? Great! This Friday we’ll begin to triage and fix them! There will be a concerted bugfixing frenzy, coordinated over IRC and Google hangouts, with (open)SUSE developers all over the world going through the bugs and fixing them. There are points awarded both for fixing and for triaging bugs and the top contributors can count on a prize! Posted in Project | Comments Off on Beta Pizza Hackaton Starting Friday! openSUSE Summit 2013: Registration Opened! openSUSE 13.1 Beta Is Out! 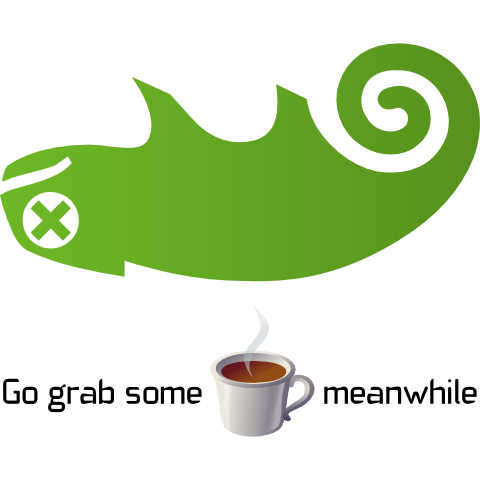 Starting today, you can scurry over to software.opensuse.org, grab that beta by its tail and give it a spin. And report your findings, because we want to squash those smelly little bugs out of it during our hackaton. So, shove a pizza in that oven, settle with your laptop next to a roaring fire and a big glas of mead and start testing! Almost time for the release of openSUSE 13.1 Beta. Many openSUSE contributors, upon hearing that, will feel their bellies rumbling: Pizza! The tradition of Beta, Pizza and Party stands solid in openSUSE. And like last year, the openSUSE team is planning to have a bugfixing hackathon, a hacking sprint to bring some serious stability to openSUSE Factory. This time, however, other SUSE offices and lots of people will join and the openSUSE team has prepared a list of bugs to be fixed. Also, there will be prizes to win! Over the weekend, Bernhard Wiedemann has been working on new armv6 based images for the Raspberry Pi. It is built using a set of alternative build scripts aiming to make the building of the image easier. He’s put the scripts as well as an image online, you can get it from oSC orÂ here (image) and here (scripts). If you’re playing around with Raspberry Pi and want to create images for your device(s), this is for you! As Bernhard explains on his blog, the image he created is only 82mb compressed, so it is pretty minimalistic. The image also contains the scripts he created for building under /home/abuild/rpmbuild/SOURCES/. He notes: If you have 6GB RAM, you can speed things up with export OSC_BUILD_ROOT=/dev/shm/arm before you do. If you wanted to play with building images for the Raspberry Pi, this might well be the easiest way doing so! And as always, merge requests are very much welcome. We’ve got some bad news: OBS has decided to stop building images. Our Geekos are hard at work to fix it but they don’t expect to have it all back up and running until tomorrow morning. Winter is Coming, Get Your Code Inside! It is already September! Haven’t you noticed? Bad weather is coming, it will be freezing soon! According to the roadmap, Full Feature Freeze will be upon openSUSE Factory on September the 19th. On that day, openSUSE 13.1 Beta will see the harsh light of day.